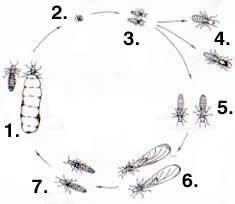 Termites are social insects and live in colonies. Some termites live in mounds above ground (e.g. Magnetic termites), some live in nests up telephone poles (e.g. Nasutitermes species), some in the base of trees and stumps( eg.Coptotermes species), and some even live in the very timber walls of the home.